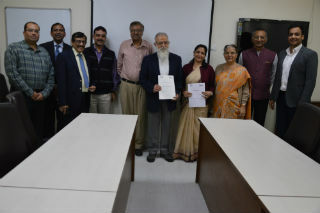 JIMS entered into a MoU with Badli Industrial Estate Association (BIEA), Delhi for joint collaboration in research and training, on 22nd Nov, 2018. 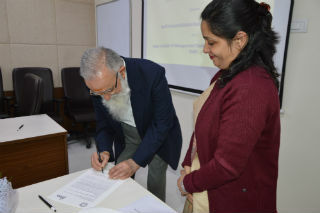 It was signed by Shri A. K. Kaul, President, Badli Industrial Association and Dr. Pooja Jain, Director, JIMS, Rohini. 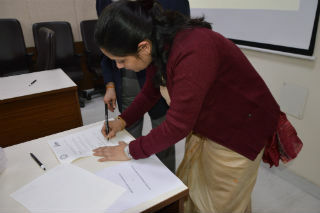 Other officials from Badli Association who were present during the signing of MoU, were Sh. 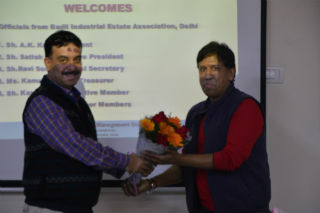 Satish Gupta, Vice President, Sh. 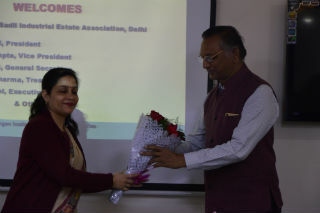 Ravi Sood, General Secretary, Ms. Kamal Sharma, Treasurer, Sh. 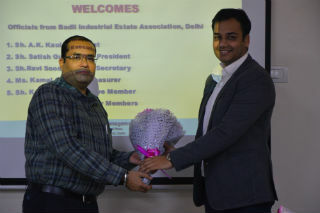 Kapil Goel, Executive Member and Sh. Mohit, Executive Member. 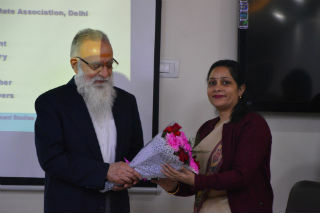 Those present from JIMS, Rohini were Dr.Ashok Bhagat, Dean – Corporate Relations, Dr. Joydeep Goswami, Dean- Examinations, Dr. Bhupendar Kumar Som, Dean-PGDM (IB), Mr. Akshay, Chief Information Officer and Dr. Sumesh Raizada, Professor. 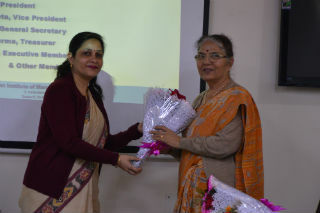 Earlier, Dr.Pooja Jain, Director, JIMS, Rohini welcomed guests at the campus with a floral bouquet. She then gave a brief introduction about JIMS, its various departments and activities. 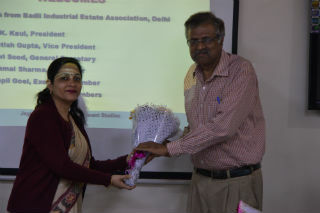 Also, the purpose and mutual benefits of association with the industry were explained. Later Sh. 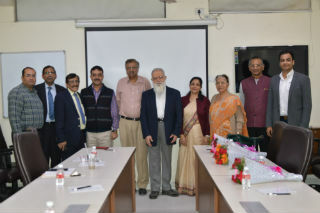 A. K. Kaul and other members expressed that MOU would be successful only when the desired outcomes are achieved within a stipulated time frame. Sh. Gupta, Sh. Sood and Sh. 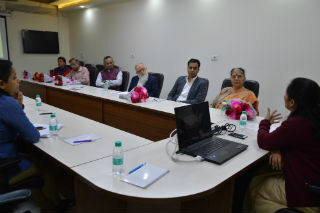 Mohit discussed few areas on which immediate action is required and can be taken by JIMS for the consultancy projects. Also some of the areas in which projects can be taken up on micro or macro levels are HR, Operations and Information Technology. 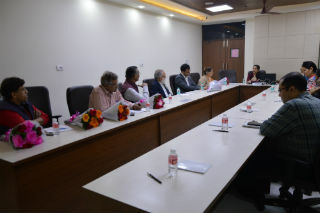 Other key areas discussed were cleanliness, pollution, energy conservation, manpower motivation, automation through app / web portal, MSME laws reforms, etc.